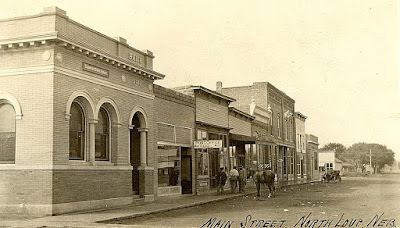 Discovered on Google: "Early Day Street Scenes of North Loup, Nebraska." The scans were taken from postcards. 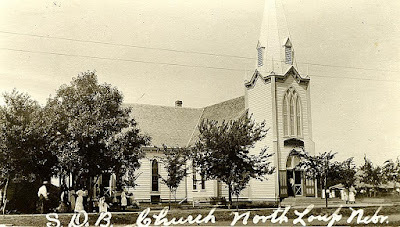 Many Seventh Day Baptist families have had some connection with North Loup, for instance, an uncle and several good friends have been pastors of the Seventh Day Baptist church there. 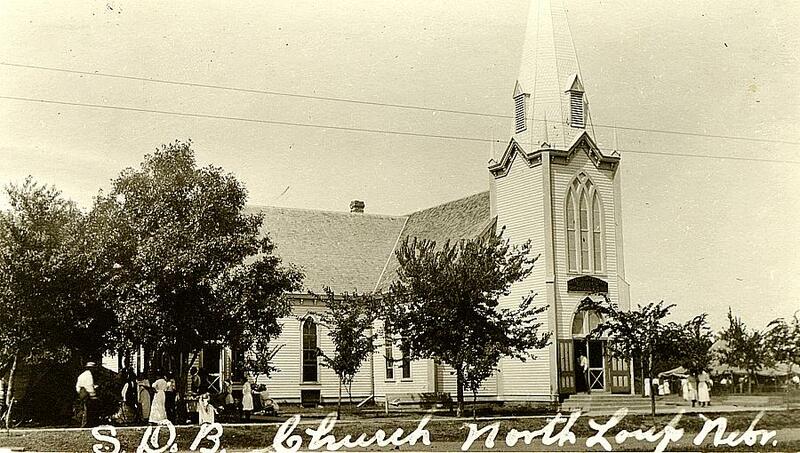 This picture is identified as the "Seventh Day Baptist Church, North Loup. Before the fire." 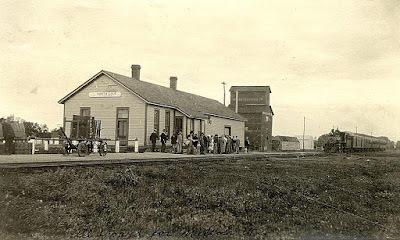 There are several more pictures at the site. Early Day Street Scenes of North Loup, Nebraska.